A bike accessory enables the cyclist to stand his or her bike upright in a subway, or in any location. 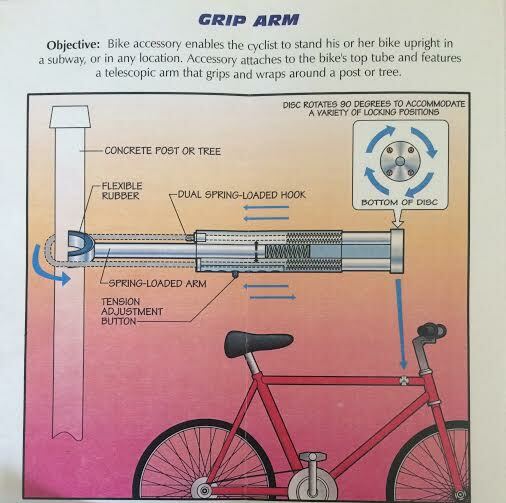 The accessory attaches to the bike's top tube and features a telescopic arm that grips and wraps around a post or tree. Page created at 2019-04-25 14:01:38, Patent Auction Time.